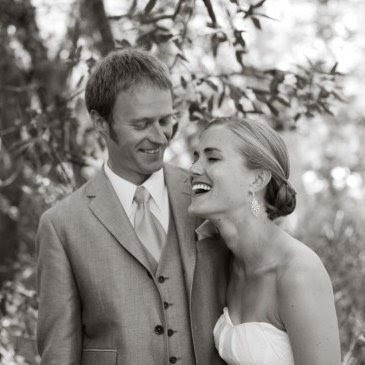 Angie and Joe chose the Aulaire and the Marina as their wedding bands and were married in Santa Barbara on July 12th, 2008. 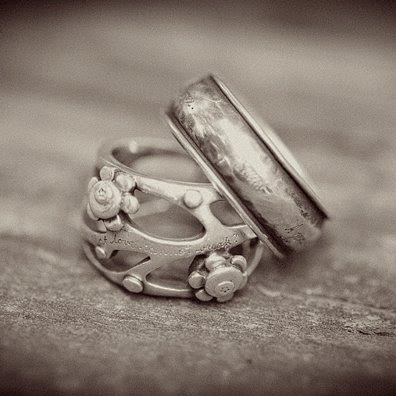 We were overjoyed when Angie forwarded pictures from their album, including a special shot of their rings. 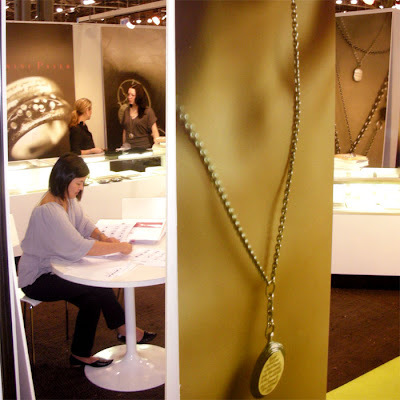 Kazu, Jeanine, and Julia are photographed in the “wholesale atelier” at the Accent on Design show in New York.